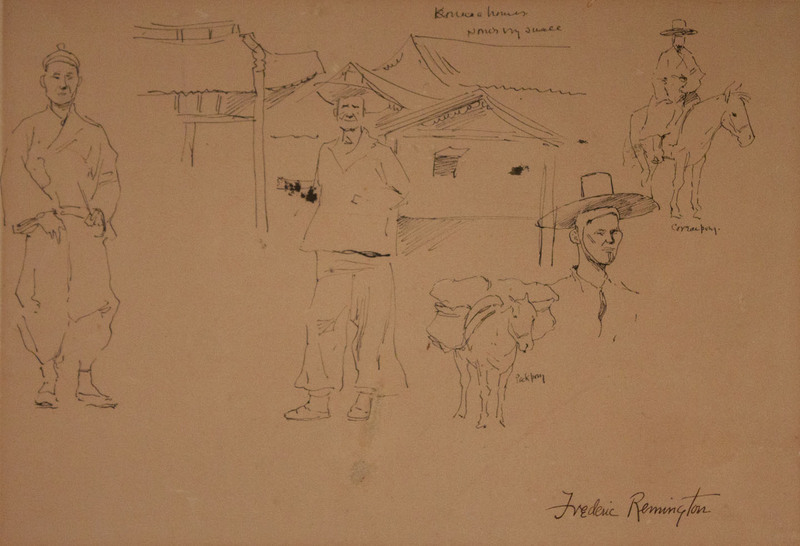 After thorough investigation of Frederic Remington’s life and travels, I found no evidence of him traveling to China or studying Chinese people… So I will do my best to interpret the Chinese Figure Study that Remington drew in the late 1800s, in relation to rap music of the 1990s. The Chinese Figure Study (see below) is and ink on paper drawing of three figures, presumably Chinese men. The most striking element of the drawing is the differences in each three men. From left to right they represent a different Chinese man: the far left, a Chinese man in traditional garb, perhaps more wealthy and to the far right, a westernized Chinese cowboy who represents a lower class immigrant.